There is now less than a year until the accountants’ exemption comes to an end and many accountants are still undecided about which path to take. Is becoming an Authorised Representative the right choice or is retaining independence the best way forward? Making any big decision in life involves asking a lot of questions, finding out the answers and then weighing up the pros and cons of each scenario. With the 30 June 2016 deadline nearing, it’s therefore important that accountants start asking questions and getting the answers they need to help them make the right decision. At a recent series of licensing workshops hosted by Perpetual to help accountants understand the options available, we asked accountants to share the questions they needed answering. 1. In the context of licensing, what is SMSF advice? When ASIC talks about being licensed/authorised to provide SMSF advice it means being authorised to set-up or shut-down an SMSF, and related pensions and contributions strategies. At this stage, the 1 July 2016 changes will not impact this description of SMSF advice. Advice on asset allocation strategies and investment strategies and SMSF life insurance needs is not deemed to be SMSF advice and is not within the scope of the 1 July 2016 changes. This is one of the reasons the limited licence authorises licensees to provide more than just superannuation advice. 2. What is a limited licence and what does it allow me to do/not do? • ‘class of product’ advice about a range of products. Your limited AFS licence will cover the range of financial services you provide for specific types of financial products. It will also specify the types of clients to whom you can provide these services. 3. Becoming an Authorised Representative seems to be the easiest and cheapest option, why might it not suit my practice? If you aren’t prepared to accept a new ‘partner’ into your practice and comply with their policies, procedures and compliance obligations then the Authorised Representative model may not be for you. If you do this you will need to remain an Authorised Representative of a licensee for at least three years in order to demonstrate to ASIC that you have the requisite three years’ experience for a Responsible Manager. If you apply for a licence before 30 June 2016, that requirement is waived. 5. I want to maintain my independence but self-licensing seems expensive and complicated, what’s the real cost? You can outsource the licensing application process to a licensing partner and receive policies, procedures and templates for less than $10,000. 6. What are my ongoing compliance costs? For two accountants advising on SMSFs, it will cost approximately $2,800 each year for a file review, and external audit costs of $7,500 every two to three years. Any Australian Financial Services specific ongoing training will most likely form part of the usual CPD points and so shouldn’t represent an additional cost. Note that opportunity costs of time spent on audits and file reviews should be the same across licensed and authorised representative accountants. Licensed accountants may have a slight additional cost associated with managing breaches or improving compliance systems if necessary. 7. I don’t do enough work in the SMSF space to become an Authorised Representative or self-licence – so can I just do nothing? At what point to refer clients out, and to whom to refer them. Don’t think that by remaining unlicensed you won’t be on ASIC’s radar…at the conclusion of the transition period for credit licensing in 2012, ASIC conducted a campaign targeting operators who remained unlicensed. It would be wise to assume that there may be a similar campaign reviewing unlicensed accountants who have a number of SMSFs registered with them. 8. What are the implications if I decide to apply for a licence after 1 July 2016? • hire in an external manager with the right experience, and bear the associated hiring / employment costs. 9. Do I have to do a RG146 course and how do I know which is the right one for me? The right RG146 training for you depends on whether you will be an adviser or Responsible Manager. A licensee must demonstrate RG146 training in all the products for which the licence is authorised, across Responsible Managers. Also be aware that when ASIC talks about being RG146 trained to provide SMSF advice, they only mean advice to set-up or shut-down an SMSF, and related pensions and contributions strategies. Advice on asset allocation strategies and investment strategies and SMSF life insurance needs is not SMSF advice – it is advice in respect of whichever financial products the strategy relates to e.g. securities, life insurance, basic deposit products. Typically when undertaking RG146 training, you will need to do additional modules outside the SMSF module to be qualified to give this advice and to obtain this authorisation. 10. If I don't want to become an Authorised Representative, but I still want support what are my options? You can retain your independence while still getting the support you need by doing your research and looking for independent partners which offer policies, procedures and compliance but outside of the Authorised Representative model. These partners can offer additional services which can support business growth and help add further value to your clients by complementing the services you offer in house. There is no ‘one-size-fits-all’ solution for accountants, but the most important thing you can do right is make sure you understand all the options so you can make sense of the licensing changes and decide how you want to respond. Dermot Lindsay is responsible for the Perpetual Private Partnership Program. The Program helps accountants who value independence prepare for a limited AFSL application and the ongoing management / compliance requirements of maintaining that limited licence. The Program also provides access to training, tools, data and insights to help accountants build a successful business advisory practice. Dermot was previously the Queensland State Manager for Perpetual Private. This involved working with high net worth individuals and their families, who have unique and complex needs, to help grow, protect, and pass on their wealth. Dermot joined Perpetual in September 2009 and has 15 years’ experience in the financial services sector. Prior to this, he worked in the construction and energy industries. 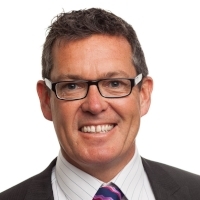 Dermot has completed a Masters in Financial Planning, holds an Advanced Diploma of Financial Services, is a graduate from the Australian Institute of Company Directors and graduated from the Aviva Leadership Foundations Program at the European Centre for Executive Development (CEDEP), France. He is an active Board Member of Cerebral Palsy League Queensland (CPL).